As a guy that shares two alma maters with James Conner I am absolutely willing to admit I am biased, but I think I've kept a level head for the most part. I think Le'Veon Bell is more talented than James especially when it comes to shiftiness and burst, but James has always been carried by his balance and vision and I truly believe if he hadn't had the knee injury/diagnosis and had continued his pace of production at Pitt his junior year he would have been considered a late first early second round type runningback. He was ACC player of the year his sophomore year and still holds the record for rushing touchdowns in a season in the ACC after being recruited to Pitt as a defensive end. Again I think Le'Veon is more physically talented, most notable at changing direction, start/stop, short area quickness, but I have said since the end of last season, franchise him while you can and then move on and put the money you were spending on Bell into the defense. It would just be irresponsible to invest that much money into another offensive weapon when our lack of defensive talent is clearly what is holding us back. And there was no point in sending Bell somewhere else during the season where he has the chance to help a team beat us down the road if we weren't in a position to use the space that would free up right now. We had to keep him even if he doesn't contribute for us this year, simply because him not producing at all is more valuable to us than him producing somewhere else. At this point, when (if) Bell comes back, I would use him primarily in third down and as receiver, but I am sticking with Conner as the feature back until Bell shows me he is physically ready to be himself on the field and he is committed to winning and giving his all. I think he will do both and end up helping us down the stretch in one way or the other, but I also think he has made several poor decisions through this process and clearly taken some bad advice at different points. I wouldn't be completely shocked if he does come back out of shape and disinterested or he has his agent in his ear telling him to avoid injury at all costs. In my opinion it will be dangerous to try a 50-50 split between Conner and Bell in the backfield and may be to tough mentally to shift back and forth between JC's downhill style and Bell's patient hesitating style waiting for the defense to commit. Maybe I'm not giving them enough credit, but I just keep picturing big negative yardage runs down the stretch late in games because of confusion between the line and who is in the backfield. You risk cooling off Conners momentum/confidence and failing to build Le'Veon's rhythm at the same time. Let Le'Veon prove how much more he is than just a running back and keep James as the feature runner. And if, god forbid, James gets hurt, we have a fresh Le'Veon to fill in instead of Stevan Ridley. I'm honestly getting to the point where I feel bad for Le'Veon. He has been his own worst enemy throughout this process, but he pays people a lot of money to manage his career and get him the most amount of money for the work he does on the field. There was a way he could have done this with full support from his teammates and much less hate from the media/fans but he has been guided through this terribly. I truly think Bell planned to come back for week one and play out the year like he did last year, and when DJ and Gurley got their contracts, someone got in his ear and told him he has to miss games since the other guys got paid. At that moment, Bell could have came out and said, "I want to be out there fighting with my brothers, but at this time I have to use the only leverage that I have and sit out games, to make sure I have the long term job and financial security that I have earned for my family. At this point, I do not plan to come back until the situation changes or I have to return to get my accrued season". I guarantee everyone in that locker room would have given Bell support and the courtesy of refusing to comment on the situation, waiting to welcome him back to the locker room when it was over. But instead, he went out of his way not to communicate with his team mates when things changed, while simultaneously going to twitter saying he never told anyone anything implying that they were lying and betraying him by taking the organization's side over his. I think its pretty clear Le'Veon has gone through his teenage and adult life being treated like he is better than everyone else because of his athletic gifts, and his immaturity shows in everything he does outside of playing football. His agent should be controlling everything they put out and could have really built some momentum in Le'Veon's cause, but instead he has cost his client like 8 million dollars and public perception and has only gained less wear and tear. In the end that may still have been worth it, and I think Bell will get paid and will be able to justify everything he did in his head. He is still one of the top 3 most talented backs in the NFL in my mind and could be incredibly helpful to a team with a young quarterback and a lack of weapons. At his best he provides an elite feature running back, allows for a number 2 caliber receiver to produce more like number 1 because of how the defense has to respect him, and then he can also produce the numbers of a 2nd/3rd option in the passing game being able to catch out of the backfield and run routes from out wide. A team like the Jets for example could pay him big time money to help Darnold survive the early years of his career and consider it a success, even without any postseason success, as long as they are done paying Bell once they are ready to reup Darnold. I do, however, think Bell could have trouble replicating his best years he had here playing behind a less talented and mobile line. He can be great anywhere, but he needs the right type of oline and chemistry to put up elite production with his style. I wasn't sure Conner would be the guy to take over bell cow duties before this season, but I was adamantly opposed to investing big-time money long-term into the running back position with the amount of money we already have invested in the surrounding positions on offense. James isn't an elite physical talent at running back in this league, but he isn't unathletic and he runs hard with good balance. He has shown that he can run, block, and catch well enough to produce when called upon when he is surrounded by the talent we already have locked up. James Conner grew up in a good neighborhood, the youngest of 4 brothers, and he wasn't a top recruit coming out of high school or college. His humility and character are genuine and obvious and I think that is why his team mates have been so emphatic in supporting him even more so than his production. That means something. He has faced some of the scariest adversity anyone could face, and has never let anyone make excuses for him. He's a fighter who will fight harder for his team mates than he will fight for himself because that's how he was raised, and that's the type of leadership that a young player can offer that earns the trust and support of veterans and gives the other young players something to emulate. At the end of the day talent is talent and it generally wins out when it comes to football, but building a team isn't just about having as much talent at every position as possible. You have to make sure you are spreading your talent across the different aspects of your team and determine which positions you can afford to have a less talented or more limited player in order to afford the special players at other positions that you feel will give you the best chance to win with your scheme and strategy. At this stage, I think JC's combination of production/talent/intangibles/$$$ is way more valuable to this team with its current makeup than Leveon's combination of production/talent/intangibles/$$$ and its not really close anymore in my mind. And now I make my pivot. We severely lack playmakers in the back half of our defense and have proven to be fairly inept at evaluating/developing this type of talent coming out of college. I really want to see the Steelers go out and try to aggressively add talent to our defense this offseason through free agency. I have no idea who's contract is up this offseason or who is likely to hit the market, but I think it goes without saying getting a superstar CB/S/ILB/OLB would drastically improve this defense and our overall team expectations. So this is where I turn it to you guys. How do you hope they spend this 14 mil in cap space this offseason? Realistically how do you expect them to use it? Is there a gamechanger at a position of need we can blow our whole load on, or are there a couple under the radar guys that would cost less individually and can add missing dimensions to our defense? Will they continue to bring in players with similar skill sets to the guys we already have in the building, or can they find a guy or two that can give us versatility and help mitigate weaknesses? If it were me, I'd aggressively pursue the best CB on the market (assuming the best one is actually a legitimate one), maybe Ronald Darby or someone of that nature. The only other option I'm personally okay with is Colbert going out and getting some under the radar guys at multiple positions for defense at LB and DB to improve the overall depth of the team and a WR to replace Hunter and DHB. I'd go with the use it all over theory. We have so many defensive holes, not just with starters, but with depth as well. Getting 1 guy isn't going to make that much of a difference to this team, but just having so many players can. I mean offense alone, the type of guys we can add for better depth and play: Cordarrelle Patterson for returns and field stretching, there's a slew of guards, Ameer Abdullah as a change of pace to Conner. But on defense. Man I'm licking my chops if I'm Colbert. Sure the top of this class is great, but look down the line some and you see some great value: Dante Fowler, Aason Lynch, Anthony Barr can all play OLB for us. Kayvon Webster, Jason Varrett (when healthy), Bradley Roby are all out there at CB. Ramik Wilson, Kwon Alexander, Jordan Hicks at ILB. Mario Edwards, Henry Anderson would make some good DE depth. Plus whatever we draft. Of that list, I'd honestly love to get Roby, Barr, and Anderson. I'm not saying the others can't be argued, sure they can, those are the 3 I specifically like. I think those three. A flyer 3 year on Varrett. I actually wouldn't mind not chasing Roby for Alexander. Top tier NFL talent does not hit free agency, but the top “listed” free agents do get top tier money. I don’t want to play that game and give Ziggy Ansah $18M a year. Give me the second shelf vet starters, and give me 2-3 of them and a full defensive draft. Mentioned it somewhere else, but it’s a great chance to turn the roster over this offseason defensively. What I think they do? This basically leaves ILB as only “major” need on defense...depth needed in front 7. Don’t we also get the cap space back from this year for the weeks he sat out? On this years cap, but we have to make sure we roll it over to next year. Extend Mike Hilton - This will be interesting. Hilton is a ERFA. The Steelers could get by paying him 700K for 1 season. I hope they sign him to a long term deal. They could extend Conner but I predict they let him become a RFA after 2019 then extend him. They are going to want a lot of money sitting there for the 2020 off season. Or they will begin the rebuild. What I think they'll do? Waste it on overpaying guys. Vince Williams was proof of that. 6.7 mill next year, followed up by 5.6 and 5.6? WTH?! He's worth about 1/3 of that due to his lack of range. I expect they'll do it with Dupree for starters. What I would do, and what they should've done this last year instead of wasting their picks as they did, is take a pass rusher or a DB in 2 instead of a mediocre tweener WR. They should've drafted Lorenzo Carter or Sam Hubbard. Or traded up and drafted Isaiah Oliver. They should've signed Connor Barwin to a FA deal. At least not too long ago he was a good player and an upgrade over anyone on the roster not named TJ Watt. Next year they could go with Clay Matthews in FA if he still has anything left in the tank and he leaves GB. Anthony Barr could hit FA. He's soft, but when he's on, he's on. Shane Ray? Definitely re-sign LJ Fort. Maybe a Dante Fowler reclamation project? 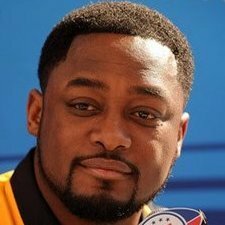 FA: Deone Buccanon, ILB - the Shazier role next to the thumper Vince Williams. That 4.4 speed would make a huge difference for this defense. FA: Brent Urban, DE - I liked him coming out. He's just had freak injuries that derailed his career. Quality depth behind an aging Heyward & Tuitt. FA: Henry Anderson, DE - Same exact thing as Urban, except I watched him a lot more as I watched Stanford a lot back then. Tyson Alualu is going to be a 32 year old FA, so makes more sense to sign guys in their 20s that have shown flashes than an old guy. FA: Eric Rowe, CB - I liked him coming out, and using him as a big CB to cover TEs works for me. FA: Chris Conley, WR - I liked him coming out too and seen flashes when I've seen him play. I'm surprised his stats aren't better than they are. He might be a bargain as a result. I like him a lot more than James Washington, who doesn't seem to be catching on yet. FA: Tevin Coleman, RB - he'd be a good compliment to Connor. DEFINITELY resign Mike Hilton. Love that guy. He and Haden are the only DBs on the roster that I like. In the draft, look at bolstering the OL and pouring it on defensively early and often. Take an ILB with speed, an OLB with instincts and skill like Watt rather than an athlete only like Dupree. Any good DB would work too.